What to do if the company that you base your GPUs on simply won't let you overclock out of the box? This is the quandary facing Nvidia's add-in board partners when considering the GeForce GTX 1070 Ti. 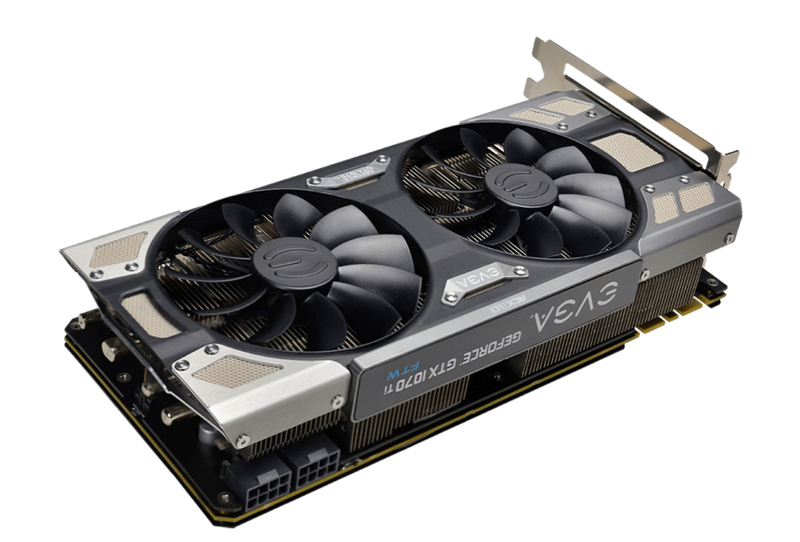 EVGA looks to get around this handicap by bringing a fifth GTX 1070 Ti to market, one that takes many of the features present in the other four and presents it as new SKU known as the FTW Ultra Silent. Priced from £520, let's take a closer look. This smorgasbord of a card is FTW2 in some respects, as the name suggests, like an SC Gaming in others, and also takes design cues from the Ti Gaming, whilst also bringing something new. Intriguing and confusing? Yup. The base PCB is from the FTW2 stable, meaning it is 266mm long, 128mm high, has dual 100m fans, ships with two BIOSes, uses dual 8-pin power connectors that service a 10+2-phase power supply. It also has the same 235W default TDP as that card. And as you have gathered, the default speeds of 1,607MHz base and 1,683MHz boost are maintained. Though it's not all the same as FTW2; the Ultra Silent uses a simpler backplate design that's from the SC Gaming line. Smorgasbord indeed. The heatsink even looks the same, too, as seen from the top, so is this another FTW in some sort of thin disguise? 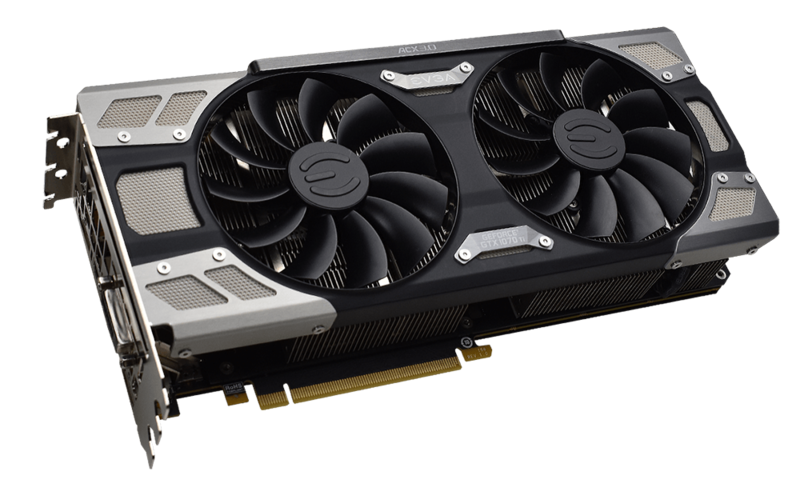 No, because this model does without the iCX monitoring technology and replaces the LED logo from RGB to just plain white, which is more common with the cheaper cards. What this really means is that the cooler, ostensibly the same, is known as ACX 3.0 rather than iCX. 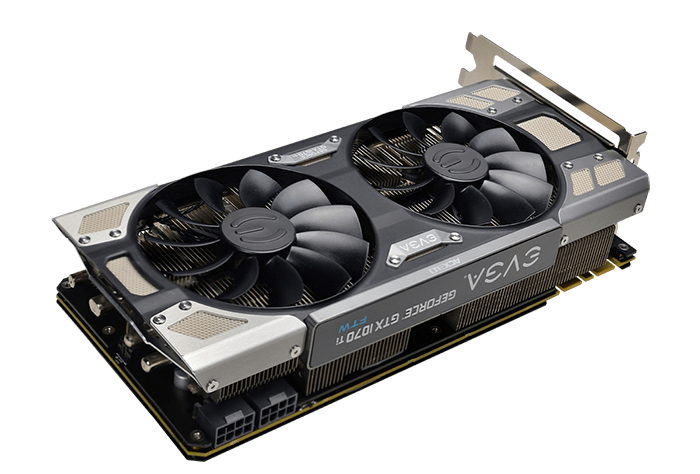 These differences alone should enable EVGA to create some segmentation and fit this fifth GTX 1070 Ti GPU in just below the FTW2... but there's more. 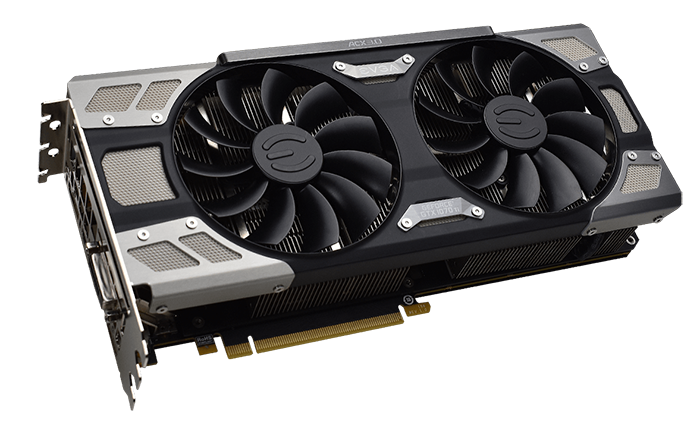 You see, coming back to the card's name, Ultra Silent, EVGA introduces a thicker heatsink design that pushes out this model's profile from dual slot to effectively three slots. That extra thickness is best exemplified by the picture above. Notice how it is fundamentally thicker than the FTW2 variant? 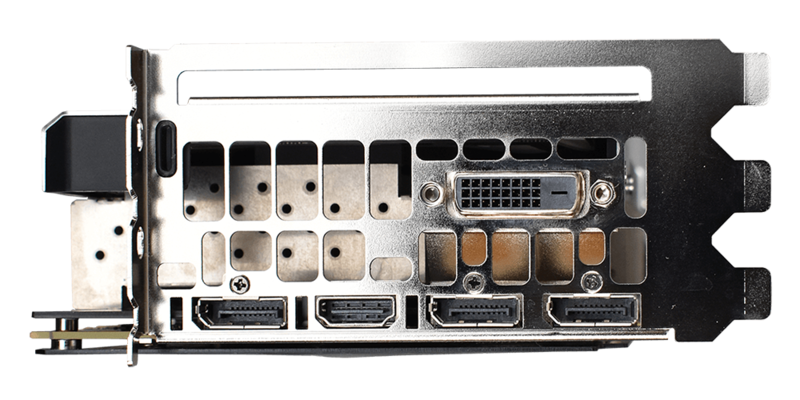 Though the card takes up what is known as 2.5 slots, the I/O plate is three slots tall, so make sure you have enough room in your chassis to accommodate it. 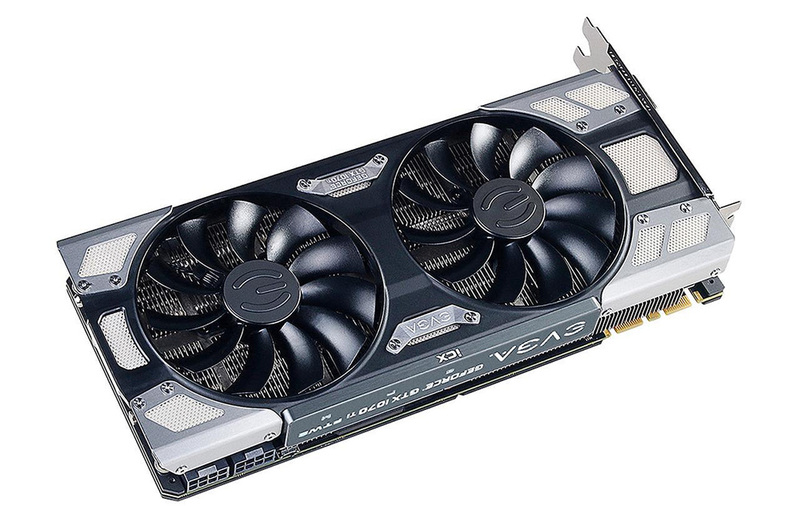 Comparing the Ultra Silent to the FTW2 side by side shows that EVGA has used what appears to be the same baseplate but has increased the height of the heatsink fins to enable better cooling and, presumably, lower noise operation. The same four heatpipes - two thick, two thin - attach the dual heatsink together and then jut out at the front. There's good baseplate contact with the VRMs and GDDR5 memory that runs at a default 8,008MHz. 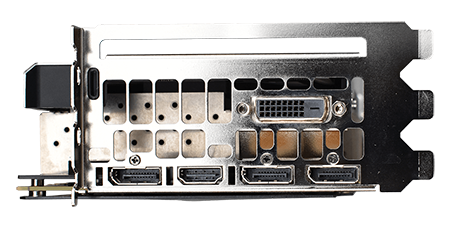 Despite the triple-slot bracket, the I/O options remain unchanged and mirror that of the FTW2, meaning five familiar digital outputs: DVI, HDMI and a trio of DisplayPort. FTW2-like in many respects, SC Gaming in others, and unique in its use of a thicker heatsink and triple-slot form factor, this card is built for quietness above all else. 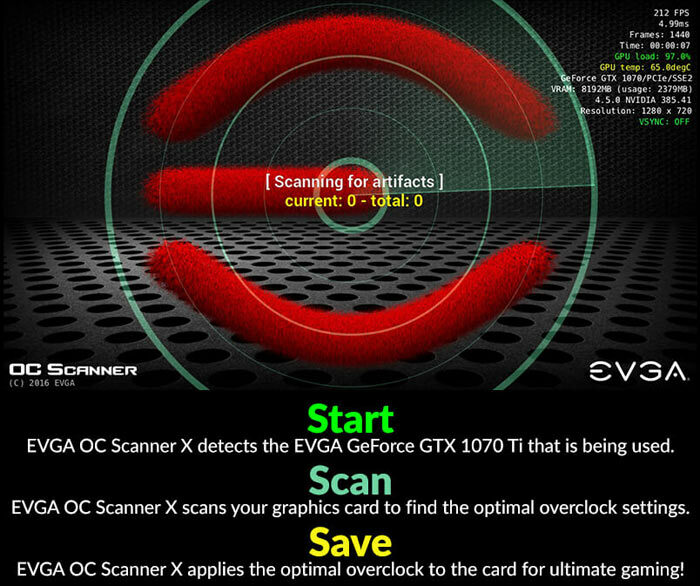 In common with others from the EVGA stable, getting around the Nvidia reference-speed lock can be achieved by loading up Precision X OC software and using automated one-click overclocking. Unfortunately, this is software level, not BIOS level, which means it will need to be activated on each boot cycle.